Bega Cheese hiked its offer for local rival Warrnambool to A$486 mln. That’s nearly double the dairy’s value before a bidding war erupted in September. Valuations depend on Chinese milk demand taking off. But with two other buyers still in the fight, the price could rise further. 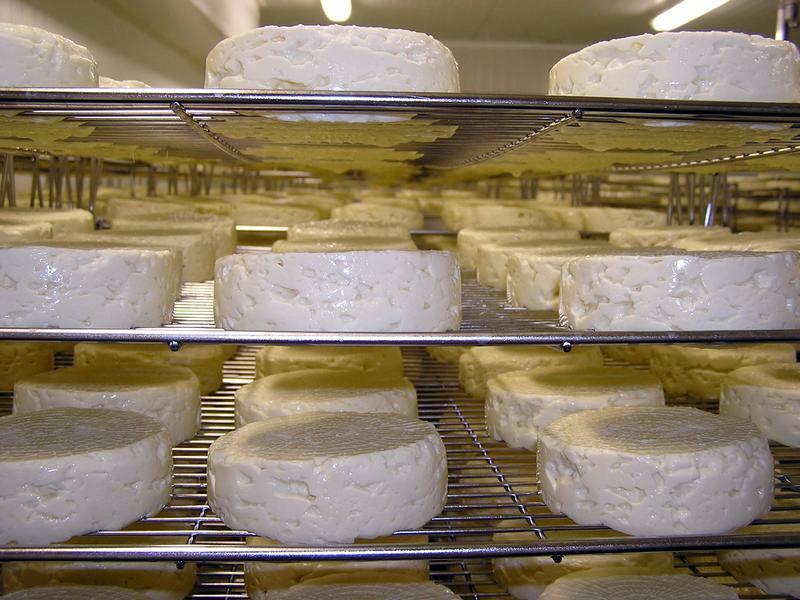 Racks of camembert cheese mature on racks at the King Island Dairy on remote King Island, part of the southern Australian state of Tasmania in this undated handout photograph. Australian dairy Bega Cheese raised its cash and stock offer to buy rival Warrnambool on Nov. 14. Bega is now offering 1.5 of its own shares and A$2 in cash for each Warrnambool share, up from its initial offer on Sept. 12 of 1.2 shares and A$2 in cash. Bega shares were trading at A$4.45, down 3 percent, by 2 p.m. (GMT 0300) Australian time on Nov. 14. At that level, its offer values each Warrnambool share at A$8.68, putting a value of A$486 on the whole company. Bega’s bid is the latest development in a three-way takeover battle that has caused Warrnambool’s shares to more than double in two months. On Nov. 13, a second bidder, Australian dairy cooperative Murray Goulburn said it would raise its offer to buy Warrnambool to A$9 a share in cash, valuing the target at about A$505 million. The bid is conditional on receiving approval from Australian competition regulators. Both proposals have surpassed that of Canadian dairy giant Saputo, which raised its bid for Warrnambool to A$8 per share on Oct. 25. Bega already owns 18 percent of Warrnambool, while Murray Goulburn owns a 17 percent stake. On Oct. 29, Kirin subsidiary Lion announced it had bought a 10 percent stake in Warrnambool for A$51.45 million. Warrnambool shares fell slightly to A$9.09 by 2 p.m. (GMT 0300) Australian time.